Are you confused by the nutrition labels that appear on items when you go food shopping? Are you concerned about whether you are eating the right foods? Need to control sugar, artificial ingredients, additives, preservatives and carbohydrates? Well, you’re in luck – thanks to an app on my smartphone, Fooducate, I am able to scan the barcode on packages and review not only the ingredients of each item, but also learn about its nutritional value. Fooducate works on all Apple and Android mobile devices. All you need to do is download the Fooducate app to your smartphone, scan the UPC barcode of a product in question, review and analyze the information found in each product’s nutrition panel and ingredient list, and see recommended alternatives. Fooducate has a rating system for each item based on its nutritional value. If you want to learn more about mobile apps, do not hesitate to give me a call at 917 921-4518 or send an e-mail at jblue@bluetutor.com. Also, you can listen to my BlogTalkRadio program, “Which Mobile Apps Do You Need,” by clicking on the link below anytime. 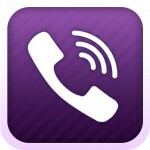 Viber is a free application for calling and texting other Viber users who have also downloaded and installed the app on their mobile phones. It works on iPhones, Androids and Blackberries. The voice quality is excellent as long as you have Internet access. Free when calling from a Wi-Fi area. Excellent app for people who are traveling overseas who need to maintain contact with other Viber users in other countries. If you have any questions about Viber or any other technology subjects, my phone number is 917 921 4518 or e-mail me at jblue@bluetutor.com. Please visit my website, www.bluetutor.com to register for my updates and special offers. Tune in to my BlogTalkRadio Show to hear all about the relevant technology news of the day. Are You Using a Secure Wireless Network? What is a secure wireless network?